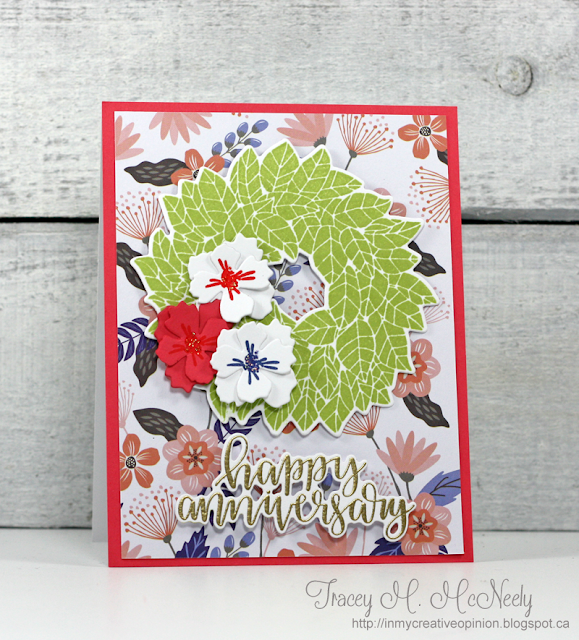 Oh Tracey, all of your cards are gorgeous! I love that the gold foiled frame fits over the polka dotted frame so perfectly. What an enlightening surprise... that card is stunning! 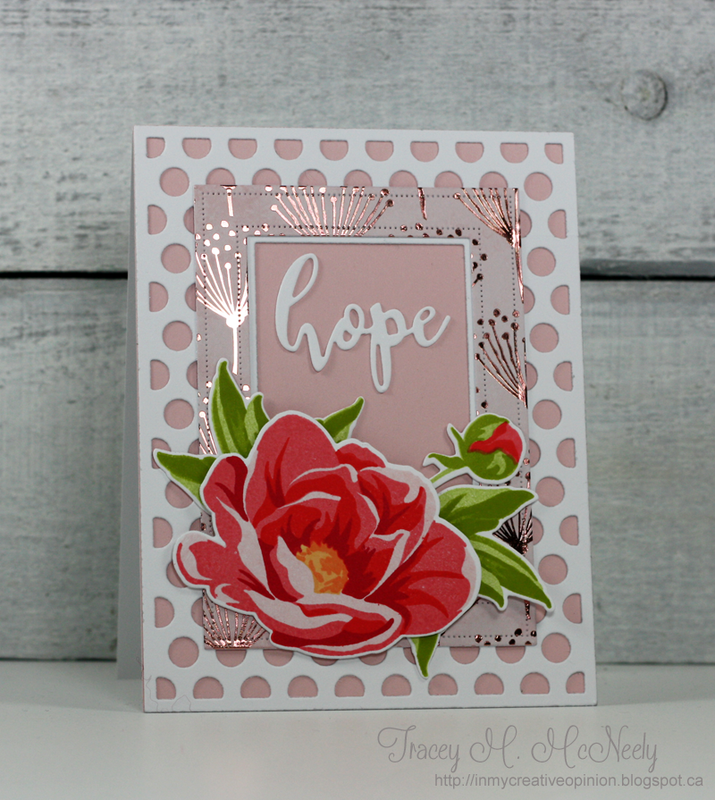 All of your cards are inspiring using Michelle's beautiful kit. I hope that 2019 brings you and your family abundant blessings, my friend. What a gorgeous set of cards Tracey! Happy new year to you and your beautiful family! These are all so beautiful!!! Happy New Year!! 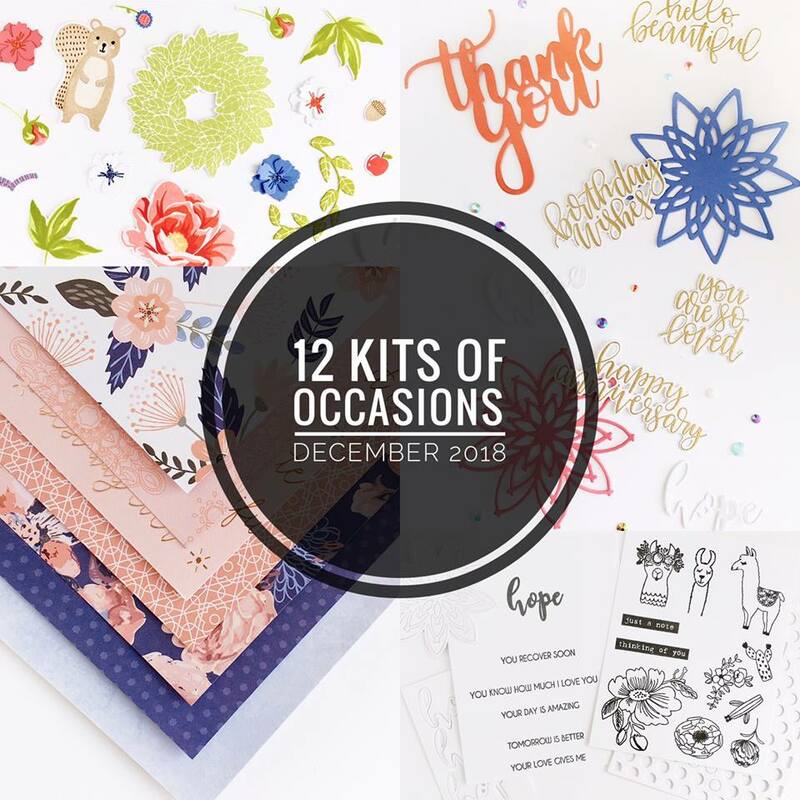 I love seeing all these fabulous treats through the eyes of all my sweet talented 12 Kits sistahs… you've made me want to go right back and make a few more cards, Tracey! LOve the way you've combined those prints... xoxo and thanks for everything, my friend! Would you just look at all of those pretty layers! 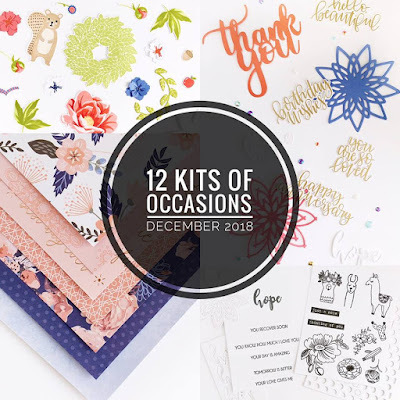 Looks like you had loads of fun with Michelle's wonderful kit. I think your first card is my favorite, it's so elegant. That little squirrel is too cute isn't he, love this card too! Happy New Year sweet friend! 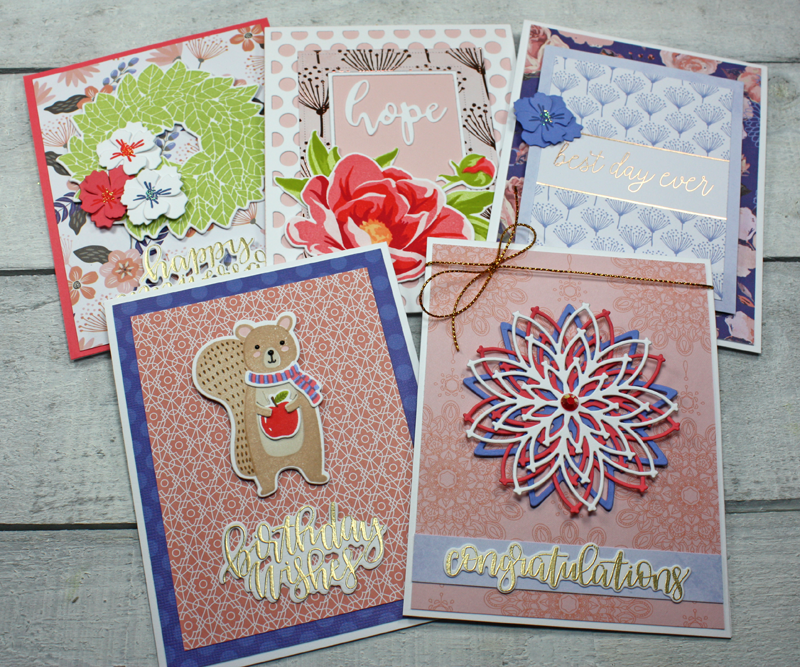 What a beautiful kit & lovely cards, Tracey! Hope the card I sent made it to you, but if not, know I wished you & your family a lovely Christmas & wonderful 2019! Beautiful, Tracey!! Awesome use of the wonderful images and gorgeous papers in Michelle's kit! 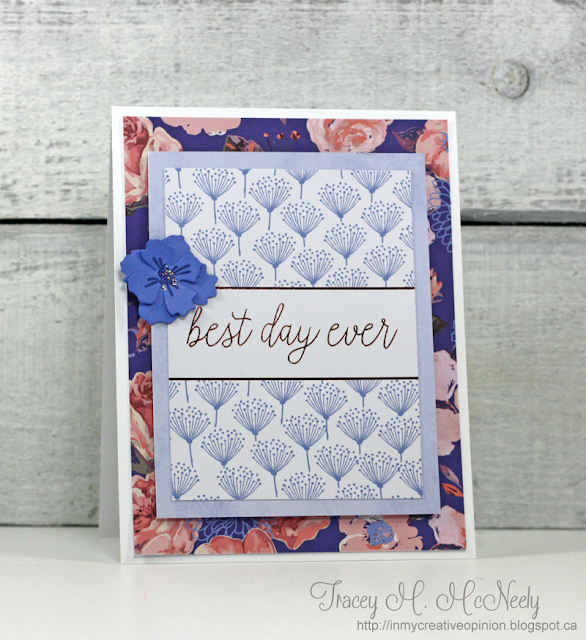 I especially love the polka dots and shine on your first card. 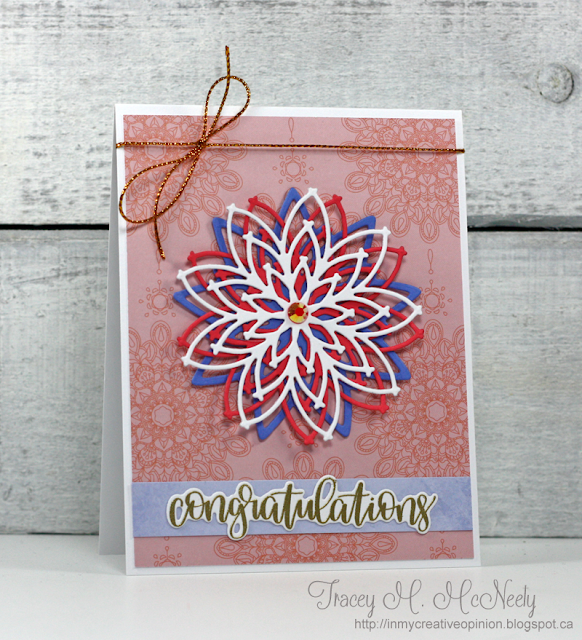 And the three layered die cuts make a wonderful focal image on the congrats design. Wishing you and all your family a very blessed New Year! Just beautiful...5 simply wonderful creations! Love your use of all the beautiful patterned paper and all the wonderful layers too, it makes your cards really shine. Your squirrel is just so sweet, makes the perfect birthday card! Love them all! Wishing you and your sweet family a very Happy New Year! 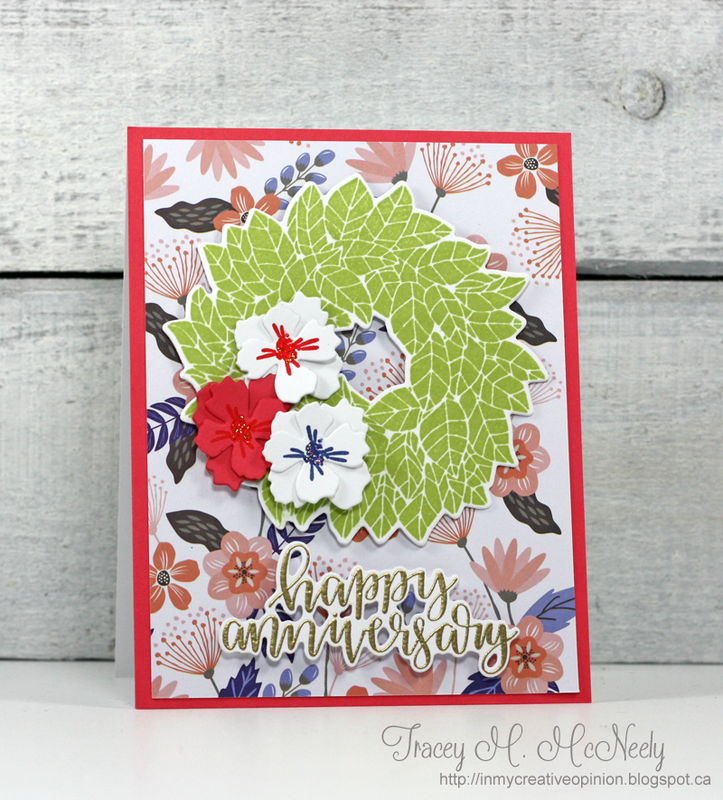 Each card is wonderful, Tracey! It's so fun to see how each of you used the kit elements. You have used them all beautifully!